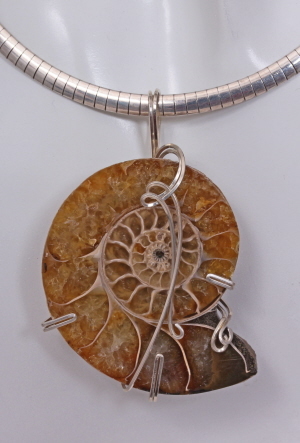 The name "ammonite", inspired by the spiral shape of their fossilized shells, which somewhat resemble tightly coiled rams' horns. 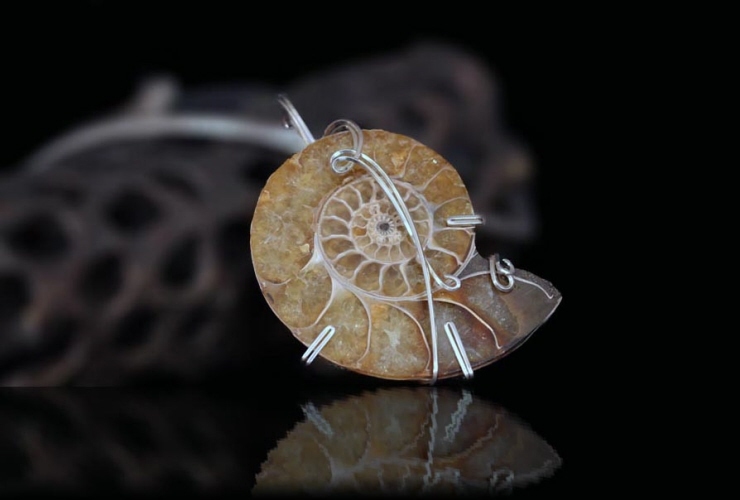 An extinct group of marine animals from the Devonian Period, 395 - 345 million years ago. 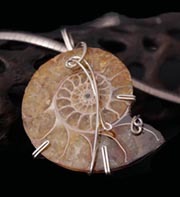 Prong setting and argentium wire is used to wrap up this pendant in a more simple design to keep the fossil center of attention! Fossil measures 45 mm x 37 mm. Finished size 58 mm x 40 mm. Weight 0.9 oz.